PHUKET: Vice Governor Chokdee Armornwat has confirmed that the demolition of the buildings along the Surin beachfront, on Phuket’s west coast, will not happen before New Year’s Day. Yet, V/Gov Chokdee today (Dec 21) said that the mass razing will not happen before the self-set deadline – as bureaucrats have yet to complete the “formalisation of approvals” required in order to carry out the demolitions. “We have the manpower from both the Royal Thai Navy and the Cherng Talay OrBorTor (Tambon Administration Organisation) are ready to carry out the demolitions, but we have to wait for another official approval from PPAO,” V/Gov Chokdee said. Meanwhile, the PPAO in turn is waiting on a letter from the Cherng Talay OrBorTor confirming that the buildings can now be torn down. This permission is needed as the PPAO gave the Cherng Talay OrBorTor, the authority to manage the PPAO buildings at Surin beach on the PPAO’s behalf, explained Mr Watcharin Patomwattanapong, acting president of the PPAO. 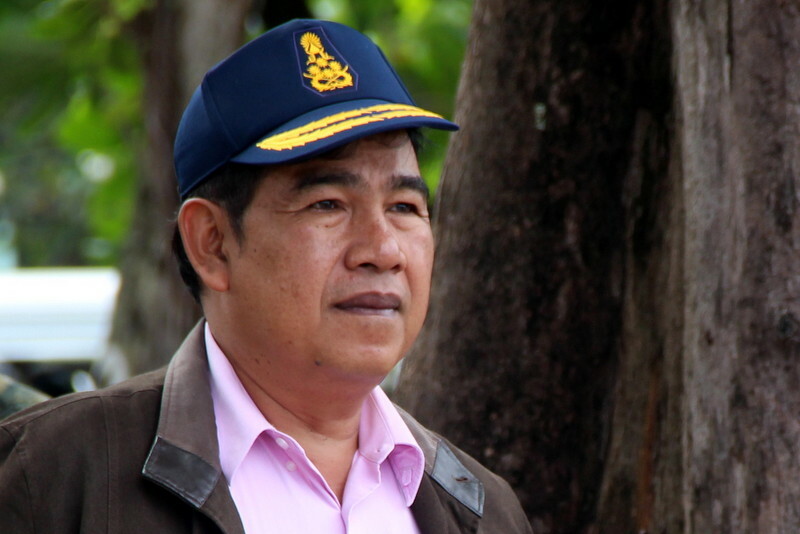 However, Cherng Talay OrBorTor deputy chief Vachira Sakulchit told The Phuket News today that the formal written consent that the PPAO is waiting for was actually sent last week. “We sent the written request for the PPAO to demolish the buildings, but we still have yet to receive an answer,” Mr Vachira said. To this, Mr Watcharin replied only that his office would do all it can to expedite the legalities needed in order for the demolition to go ahead. “As soon as we receive the written request for demolition from the Cherng Talay OrBorTor, we will try our best to rush the legal process,” he said. “We want every step going according to the law. The process could take about two weeks, but there is no guarantee this will all be done before the new year,” Mr Watcharin added. Phuket officials not taking care of any  business whatsoever. And forget not only tourists but all the Thai people working around the beach. While it's a good idea to not do this demolition at high season, the reasons now given just seem to more of the standard double-speak. Why  not make the establishments legal, charge them to operate and use the proceeds  to start a boys and girls club on the mostly unused football field? It is poor governance to tear down perfectly good tax generators. Shock, horror, I guess no-one saw that coming... what a joke this place is. Have to suspect someone is get their "tea" money. My prediction, these restaurants will still be around through the current high season.